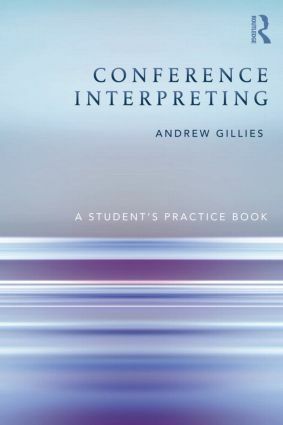 Unique in its exclusively practical focus, Conference Interpreting: A Student’s Practice Book, serves as a reference for students and teachers seeking to solve specific interpreting-related difficulties. By breaking down the necessary skills and linking these to the most relevant and effective exercises students can target their areas of weakness and work more efficiently towards greater interpreting competence. Split into four parts, this Practice Book includes a detailed introduction offering general principles for effective practice drawn from the author’s own extensive experience as an interpreter and interpreter-trainer. The second ‘language’ section covers language enhancement at this very high level, an area that standard language courses and textbooks are unable to deal with. The last two sections cover the key sub-skills needed to effectively handle the two components of conference interpreting; simultaneous and consecutive interpreting. Conference Interpreting: A Student’s Practice Book is non language-specific and as such is an essential resource for all interpreting students regardless of their language combination.